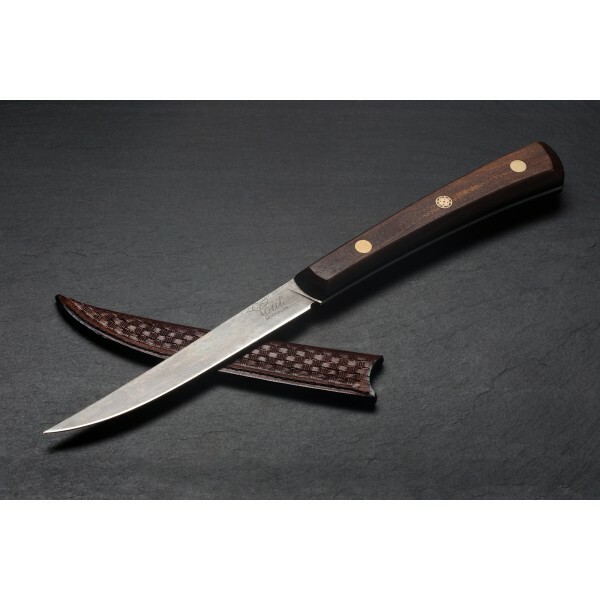 Hand ground carbon steel blade with walnut scales, black G10 liners, and accented by mosaic and brass pins in a carry-everywhere package. 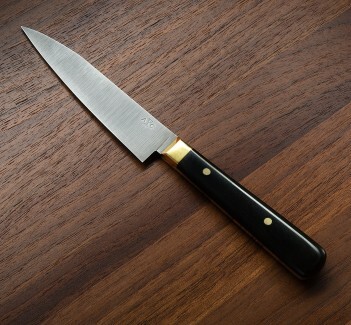 Perhaps the definition of the ultimate dinner knife. This particular one-off piece, prototype #1 of a future dinner knife design by Joel at Cut Brooklyn, is matched with a baskeweave leather sheath stitched to perfection by local master leatherworker Paul Cox of Paul Cox Industries. All meals, even those eaten out, deserve a tool that complements the cuisine. For hundreds of years people carried their own knives, much like this one, everywhere they went in order to prepare, serve, and eat any meal anywhere. 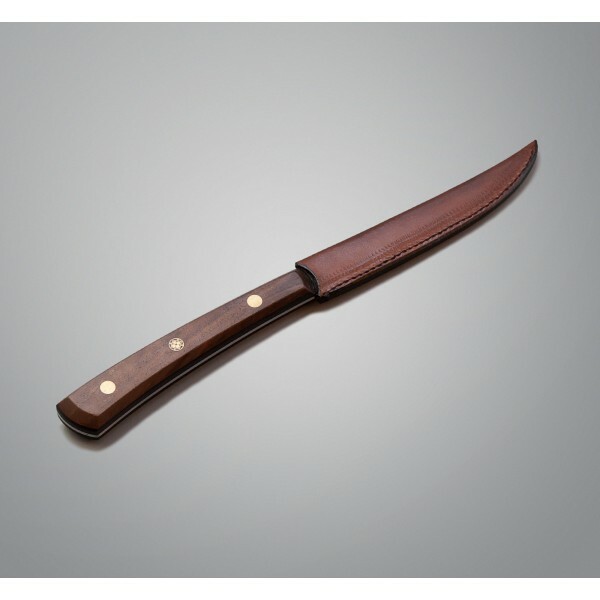 Take this knife out for your next steak dinner, and you'll be prepared to enjoy every aspect of the feast with a new sense of self-reliance. Joel Bukiewicz and Paul Cox make quite the Brooklyn-based team. 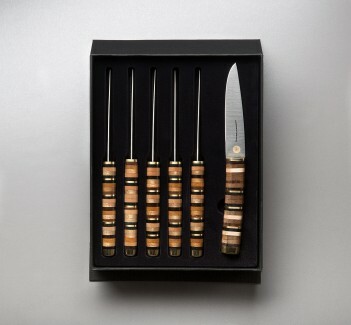 We brought them together recently for their first collaboration, with Paul stitching leather for each of the first four prototype dinner knives ever created by Joel at Cut Brooklyn.